JamFest LA 2017 Day 1 at The Roxy. JamFest LA Day 1 at The Roxy. Heavy metal guitarist Robert Sarzo jams with the Little Kids Rockstars on day 2 of JamFest LA 2017! 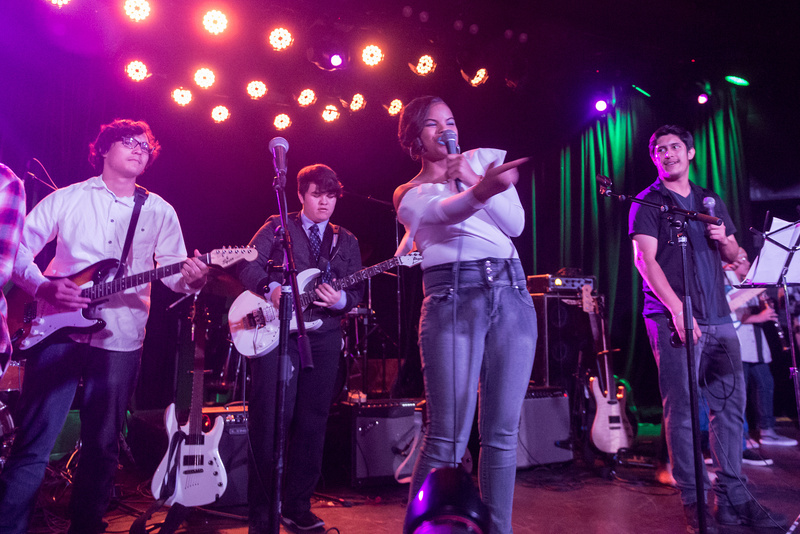 The 2017 Little Kids Rock JamFest in Los Angeles took place over two days at the legendary Roxy Theatre on the Sunset Strip. 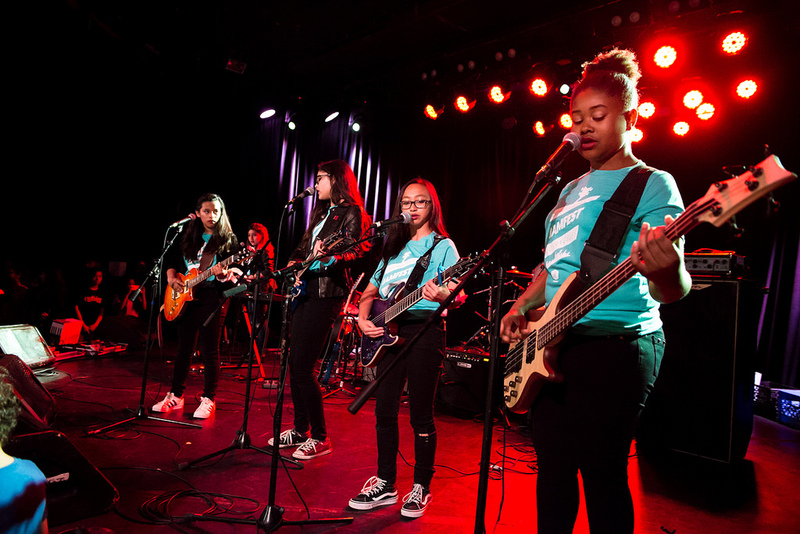 The annual event featured over 20 Modern Bands from schools in the LA area including LAUSD, PUSD as well as several charter schools. 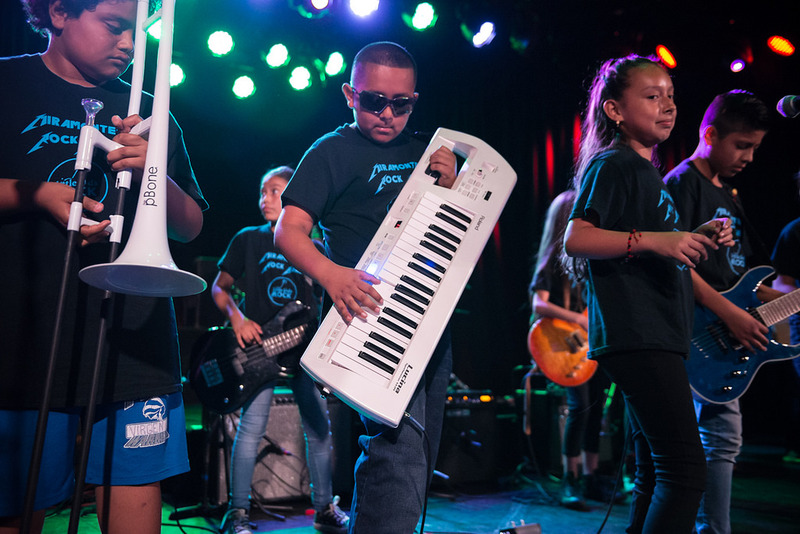 Over 200 young music makers were able to experience performing on the same stage as Ozzy Osbourne, Bob Marley, The Ramones, Prince, U2 and countless others thanks to the support of our friends at Jack in the Box. 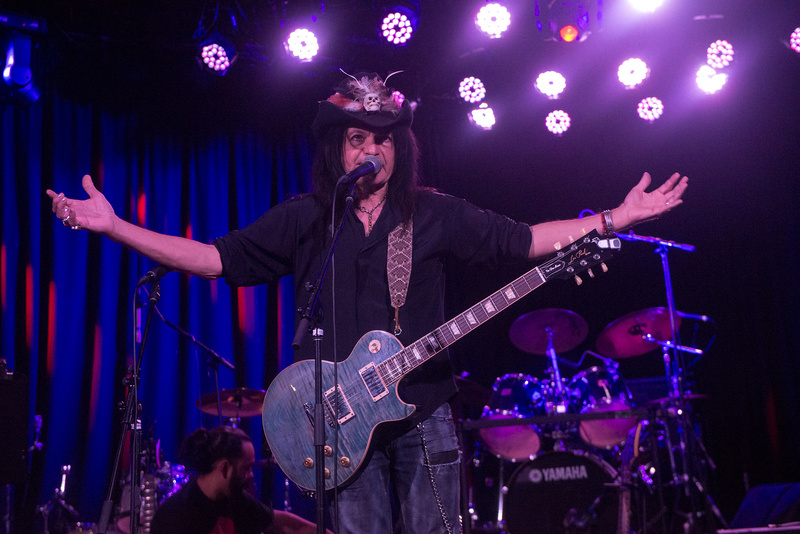 Day 2 offered a special surprise for the kids when heavy metal guitarist Robert Sarzo showed up and played for everyone in attendance. Robert was sharing some life lessons on making music and began to jam when all of a sudden, a student drummer from the crowd got up on stage to jam with him! If this wasn’t enough, some lucky schools were also able to walk away with brand new electric guitars for their programs. The amount of talent in the room was extraordinary and served as a reassurance that the next generation of music makers are well on their way to greatness! JamFest LA 2017 Day 2 at The Roxy.